embarrassing Snapshot of SpongeBob at the क्रिस्मस Party. I made this on photoshop myself, an Airbender4823 original of "the embarrassing snapshot of spongebob at the क्रिस्मस party". 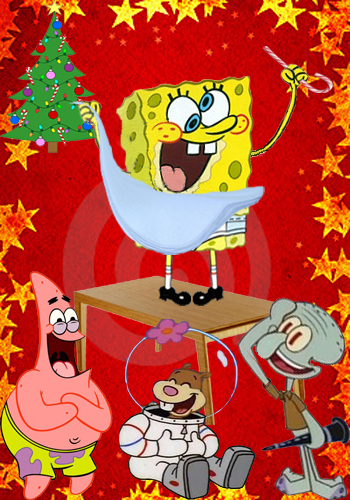 Wallpaper and background images in the स्पंज बॉब स्क्वायर पेंट्स club tagged: spongebob christmas.